Welcome to Strength and Fitness Supplies! 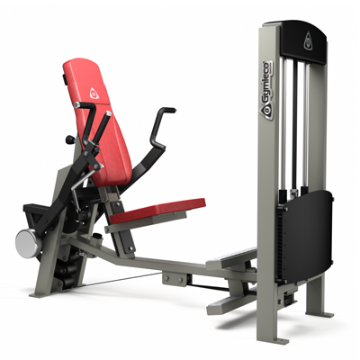 GymLeco Commercial Gym Equipment is Available to Order Now! 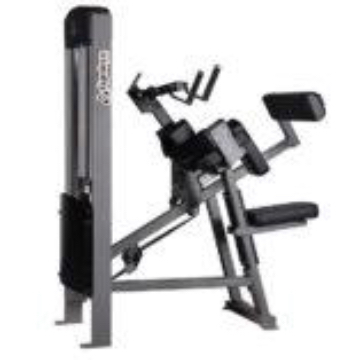 Designed for the Larger Commercial Gym Facility, individual prices for all GymLeco Commercial Gym Equipment will vary depending on quantities ordered. 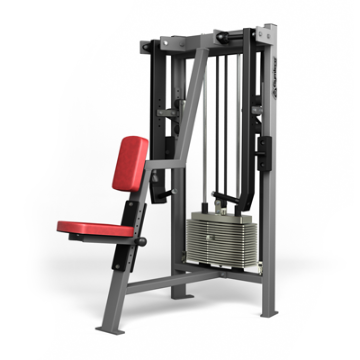 Gymleco’s newest addition of plate loaded machines – Belt Squat Machine. 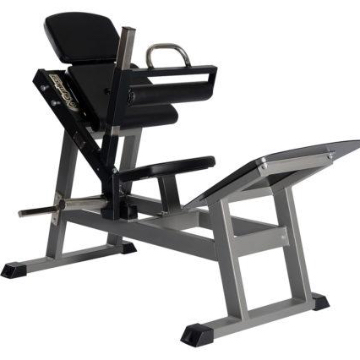 This machine is not only effective but also ergonomic for the lumbar spine. The ergonomic movement along with the belt makes the back unloaded without focus on the leg and buttocks. Hip Thrusten is compact, making it easy to place on the plant. Ergonomic back pad that follows and supports the back along the whole movement and easy settings for smooth operation. Fits all body lengths and shapes. Probably the future’s top seller among Gymleco’s range of freestyle machines. A really booty booster! The actual exercise without weight load is often used for rehabilitation of back patients because the stress in this backbone does not affect the vertebrae, as many other exercises do. 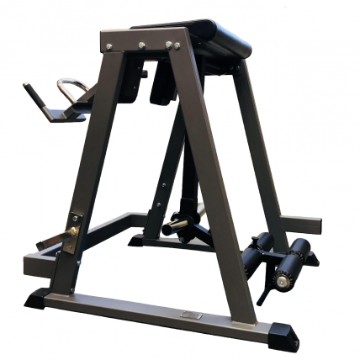 The machine is popular with strength lifts, as it is used as a “moving” for the lower back to supplement for back training with isometric ground lift. 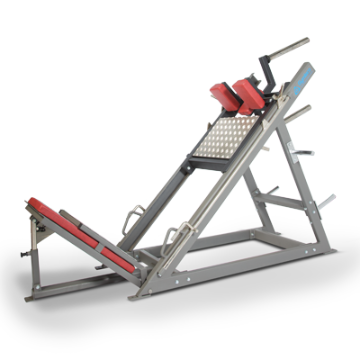 At the same time, the machine exercises excellent gluteus muscles. 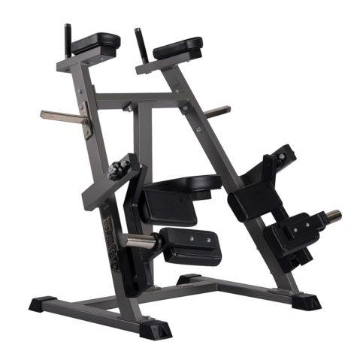 Gymleco’s Hip Thrust and exercise your muscles completely without adjustments. The moving pad provides good support along the entire movement. 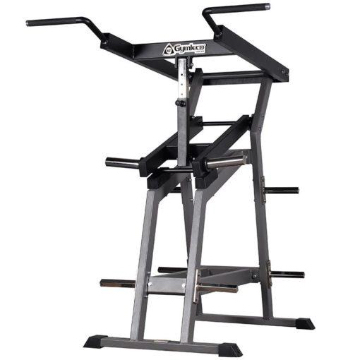 Can perform with own body weight, barbell and / or resistant band. 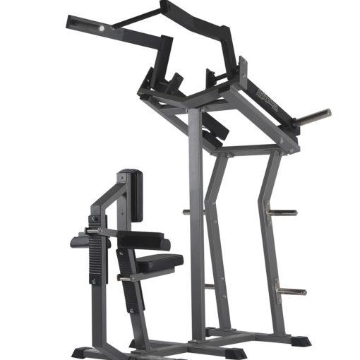 Gymleco’s new sitting dip machine where you effectively train the triceps muscles. Equipped with a large foot plate for variability and a stable seat and backrest. 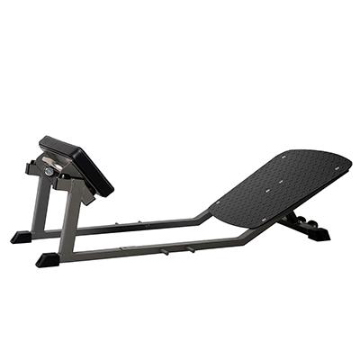 Enables a natural movement that essentially activates the thigh’s front. 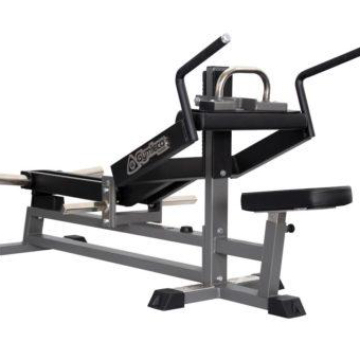 GYMLECOS unique lever with optimal biomechanics, which provides the right load distribution throughout the movement. In this machine, any fraudulent attempts will be lost. 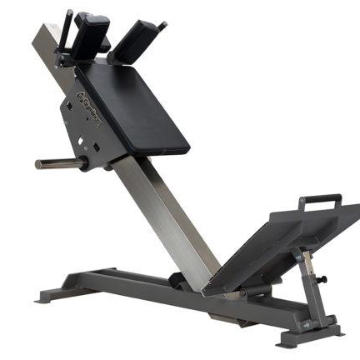 Like the sitting thigh curling machine, this machine is equipped with two flat cushions, one under the claw and the other over the narrow leg. The knee joint and muscle may work completely. 2 weight restraints are included. 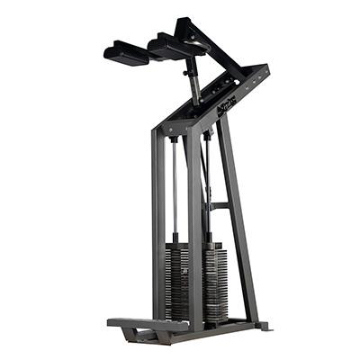 The suspension and the perfectly positioned weight tube make the training work smoothly throughout the whole movement. The machine is designed so that any cheating only becomes fruitless. This makes this leg park the most effective variant. 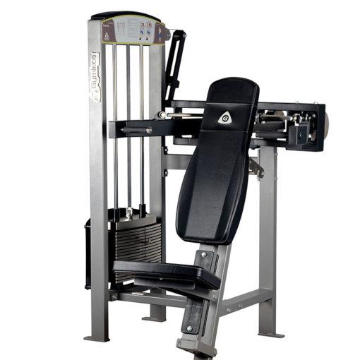 The machine is equipped with an ergonomic seat pad with rounded comfortable front edge to spare the knee joint. 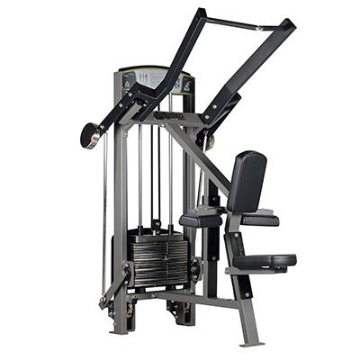 This machine has individual lever arms with an inward motion path that makes the exercise more efficient and safer. It also has ergonomically designed handles to reduce the strain on the wrist. 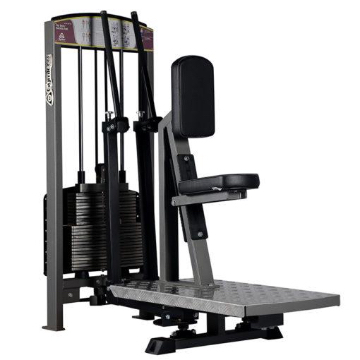 GYMLECOS unique lever with optimal biomechanics, which provides the right load distribution throughout the movement.Easy to set up.Balanced lever.2 weight restraints are included. This exercise is one of the best exercises for the back because the very long movement rotates the entire shoulder blade. The system also activates a lot of the deep musculature in the shoulder portion, as well as the lumbar muscles of the back. 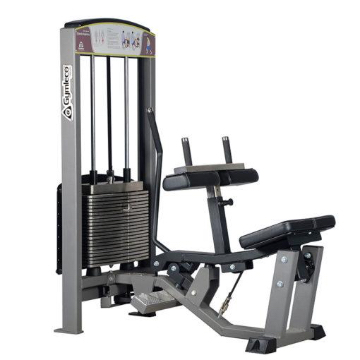 The machine is gentle to the wrists, elbows and shoulder joint thanks to the ergonomically positioned handles and lever angles. Reduces the load on the above-mentioned conductor by ~ 40%. A versatile exercise tool that activates the upper area of the back, the back of the shoulder, the neck muscles and the middle of the back. Seat height can be varied to couple more or less of the above-mentioned muscle groups. 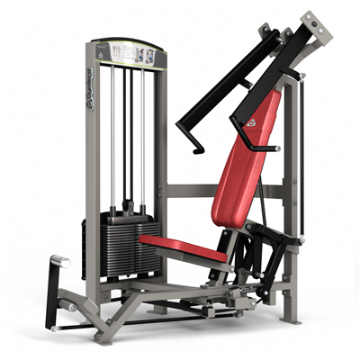 Gymlecos Viking press – standing axle press with adjustable start and pararal grip. A really effective shoulder exercise. Gymleco’s newest addition in the hundred series. Sälrodd is an exercise where trapezius, biceps and back shoulders are in focus. The exercise that has previously been difficult to get to the gym will now be the most popular in heavy weight training. This machine together with our leg pressures save incredibly much space. 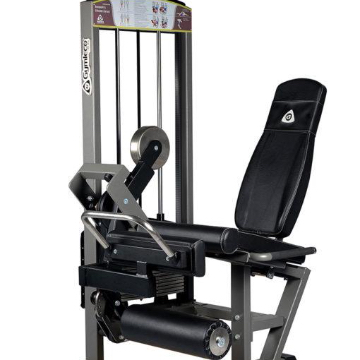 The hack lifter also has the same airy tasteful design with the same friction-free trolley structure as our leg press. The machine is also equipped with a large foot plate covered with a heavy rubber coating. Ergonomically designed wagon with axle support and headrest included. 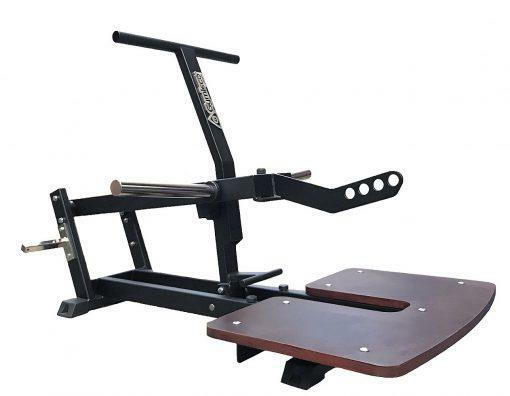 Gymleco Conan Circle – a classic Strongman tool where weights are used in a circulating motion. The base of the tripod has four seats for weights and the rod has articulated wheels to easily put back the weights in its original position. With handle, the lever can easily be removed. 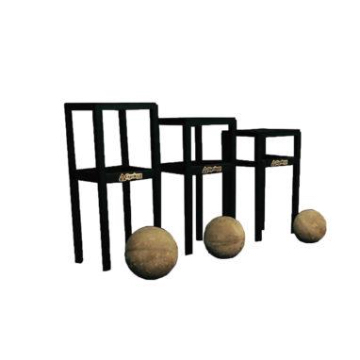 Gymlecos atlas stones with podium in three different heights. Atlas stones from 176 lbs and up , with a diameter of 20 in. An advanced design of the machine means that no settings are required. 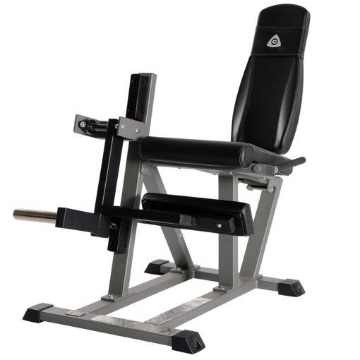 The armrests reduce the negative pressure on the lumbar spine, thus eliminating the load from the spine. Anatomically correct movement, for example, to strengthen the oblique abdominal muscles. GYMLECOS unique camshaft, which gives the right load throughout the movement. A fun machine that makes everyone start to work out. Advanced construction with ready fit for all body lengths. Disconnects the hip bend muscle. 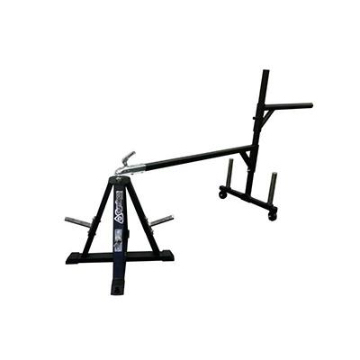 Stabilizes and relieves the back in an anatomically correct way, making it suitable for rehabilitation training. The perfect dishwasher in its original version from GYMLECO. A product that many manufacturers tried to copy without success. Balanced lever with low starting load. Gymlecos multihip exercises the inside and outside of the thigh, gluteus (seat), hamstrings and hip muscles including the hip bend and the back of the thigh. 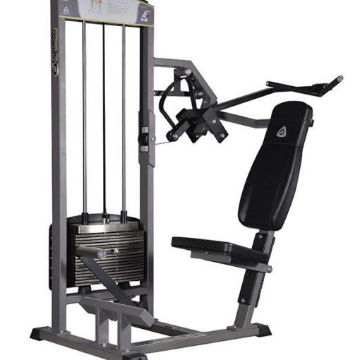 This is a multifunctional exercise machine that is very easy to adjust and suits all body lengths. 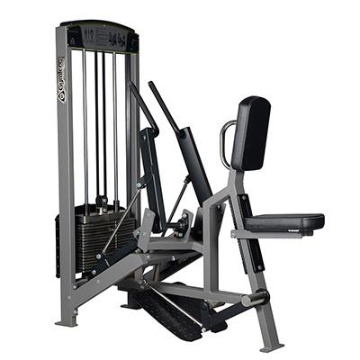 The machine has an easily accessible and clear instruction board, giving the user clear instructions on the performance of each exercise. The machine saves space but does not compromise on functionality. It has a clean and stylish design effective sitting position, with the inside and outside of the thighs being activated optimally. You are sitting with your legs at almost 90 ° angle, giving a comfortable sitting position. 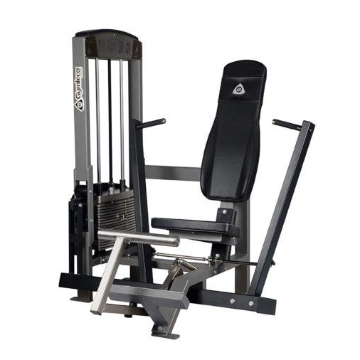 The machine is equipped with an easily accessible weight magazine to easily change weight while providing a more appealing look to the machine. Two features in one, uncompromising. The girls favorite machine that boys also benefit from. It offers a long movement that activates the major spinal cord, gluteus maximum. The body position is upright, giving an eyelid body posture. 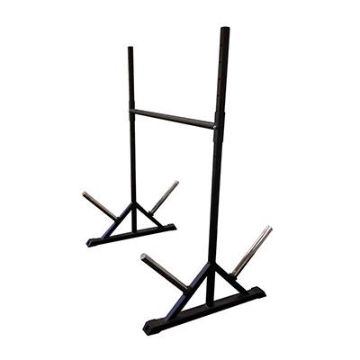 You stand comfortably on one knee with chest support and a proper handle. One page is trained at a time. 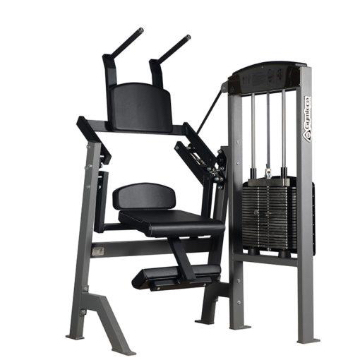 Slim and smooth design allows this gym machine to fit almost anywhere. Gives the father a full load without burdening his shoulders or back. Is standard equipped with a weight magazine that is also suitable for the strongest. 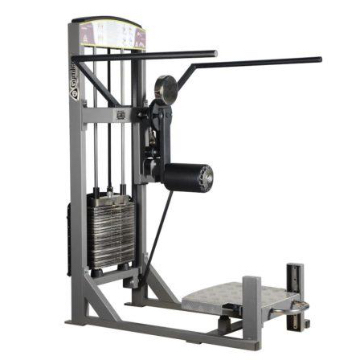 This training machine has a compact, smooth design that makes it incredibly space-free without compromising on the function or movement length. Exercises the womb muscles optimally and is standard equipped with a weight magazine that suits even the strongest. The machine has a smooth arm as a solution for starting aids. The adjustable lever makes it possible to reset the starting angle in 13 different modes at 10 ° intervals. The ergonomic design gives a reduced load on the lower back while optimizing the contact with the muscles on the back of the thigh. The range of motion is well increased and, together with the counterbalanced lever, it provides a strong contractual opportunity at the end of the operation. Utrsustad with a whole duvet over the dads to make it easier to get in and out of the machine. The machine’s motion curve follows the body’s biomechanics. Adjustable starting angle in 13 positions at 10 ° intervals. Stepless adjustment of backrest and foot pad. Smooth is just the first name. 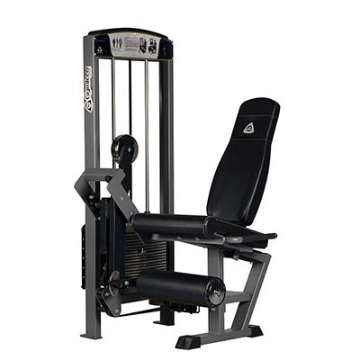 This machine can do wonders with the outer shoulder muscles. The movement curve, as well as the design of the seat posture with breast support, provide maximum contact. 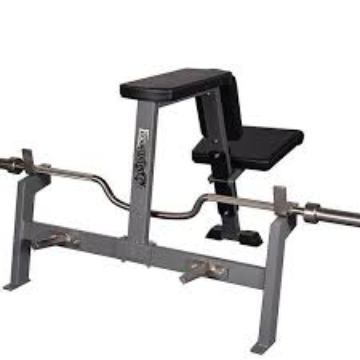 The training gets better and safer than with free weights and the individual lever arms make it possible to alternate. Suitable for elderly children and for rehabilitation. GYMLECOS unique individual camshafts, which provide the right load throughout the movement. Balanced counterweights for low starting load. The right feeling will be instantly thanks to the beautiful motion lane. From the starting position, the movement goes naturally inward until the handles meet above the head. The adjustable backrest, along with the motion path gives a natural feel regardless of the user’s body size. 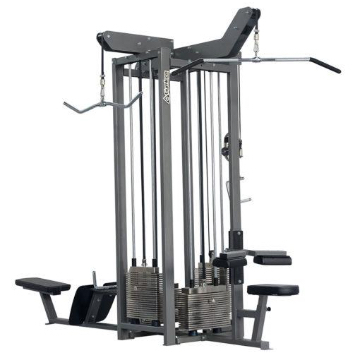 The machine is equipped with counterweights for easier starting. 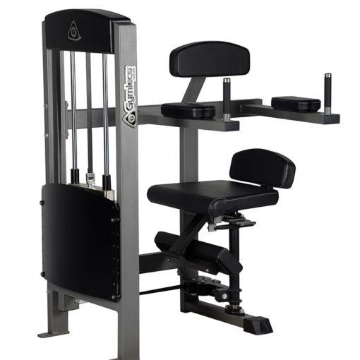 This is a smooth shoulder press that meets all the different needs. The nice feeling makes this breast pressure a definite favorite for those exercising. The movement will be stable and comfortable thanks to the natural motion lane. 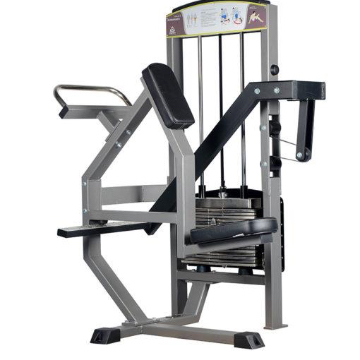 The machine is equipped with a foot pedal that allows you to start in the middle of the exercise, starting from a wide starting position, via an ergonomic V-shaped motion path until the handles meet in the final position. This movement provides a higher and more effective activation of the breast muscles, and reduces strain on ligaments and muscle attachments. The feeling is the same as with free weights, but safer and of course quite stable. The perfectly angled individual arms provide a good feeling and natural movement and activate the upper breast muscles. This machine provides a high and more effective activation of the breast muscles, and reduces strain on ligaments and muscle attachments. The feeling is the same as with free weights, but safer and of course quite stable. GYMLECO’s unique individual lever arms, which provide the right load throughout the movement. 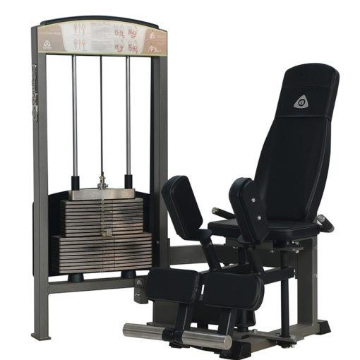 Exercise machine that boosts the usually weaker muscles in the upper part of the back. 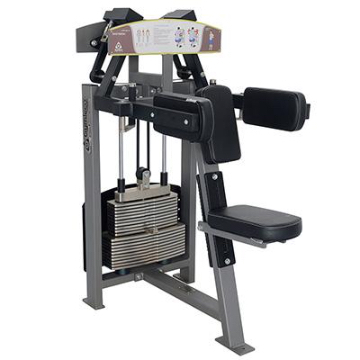 The advantage of just this type of back machine where the draw comes from the bottom is that the exercise can be varied from activating the upper part to the middle part of the back muscles. Individual arms make it possible to alternate, while avoiding that the stronger side of the back is activated more than the weaker. Ability to select activation area. 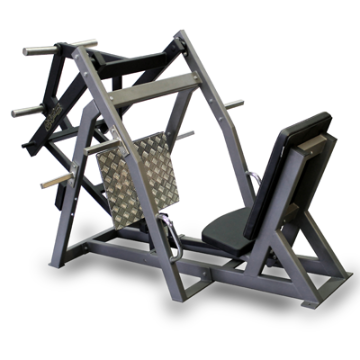 A flexible workout machine that effectively trains the back muscles of the back. Correct movement with individually movable arms for alternate exercise. Ergonomically angled handle for maximum wear of the wrists. The seat cushion is steplessly adjustable. 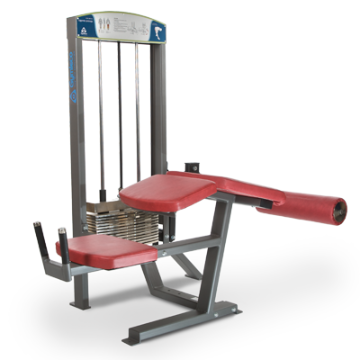 A smooth exercise machine that effectively trains the back’s shoulder portion. Correct outward movement with individually movable arms for alternate exercise. Ergonomically angled handle for maximum wear of the wrists. The seat cushion is steplessly adjustable. GYMLECOS unique camshaft, which gives the right load throughout movement. 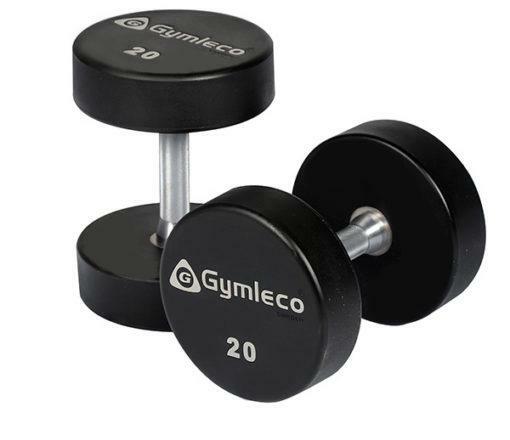 GYMLECOS EXACT , which provides the correct load distribution throughout the movement. Adjustable start position in 13 positions at 10 ° intervals. Fully adjustable without loose details. Easy to switch between exercises. 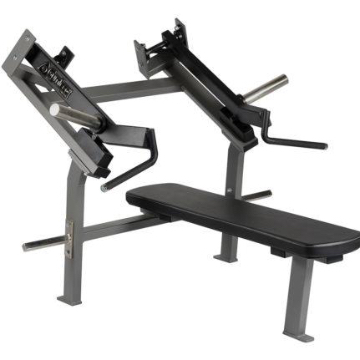 Two different start modes for Pec Deck. 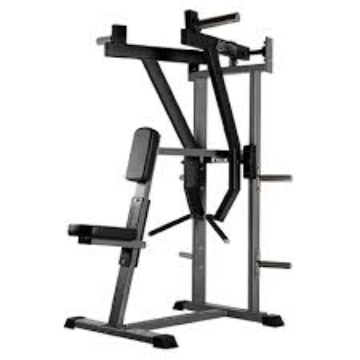 The machine can be mounted mirrorwise. Stepless adjustment of the luggage line in the draw. 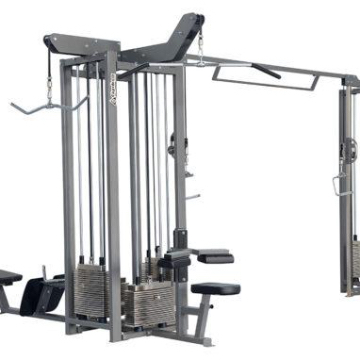 Same function as in the separate drag lifts. Full movement for all body lengths. All exercises are executable at the same time. 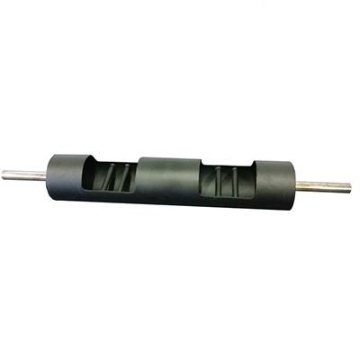 Band drive that causes reduced friction. Tighter partition in weight magazine. 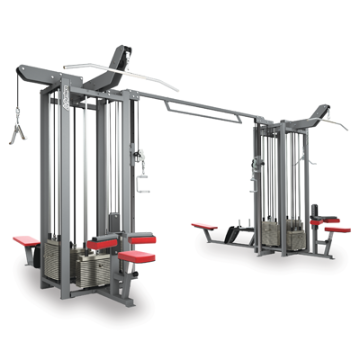 The lathes and rowing lifts can be mounted on optional sides.